Tim Cook is visiting China at a time when there are lots of questions in the air. 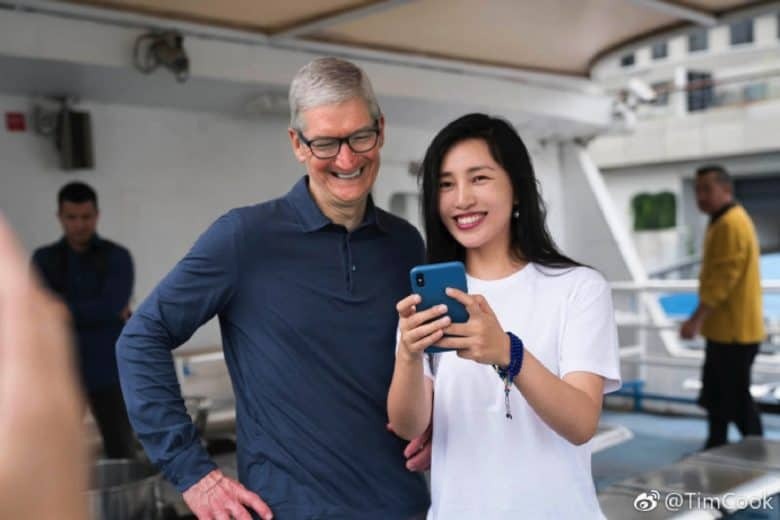 Tim Cook is in China, visiting Shanghai to promote Apple Watch, pay a trip to one of one of the local Apple Stores, and meet with developers and Apple users. Cook marked the trip by posting on his official Weibo account, the microblogging account that acts as China’s version of Twitter. While he is upbeat about meeting with Chinese fans, however, the visit comes at a tough time — with a burgeoning trade war with the U.S. and questionable claims about Chinese spy chips allegedly used by Apple. “Hearing from Yogis at @SpaceCycle who love working out with Apple Watch,” Cook posted in one message, touting the fitness-tracking features of the Apple Watch. “Shanghai changes with every passing day,” he noted in another — adding a picture shot on the iPhone XS Max. He also showed off the way that the Apple Watch can be used to pay for transportation in Shanghai. It is likely that Cook will do some interviews with local media, which is typically part of his visits overseas. If so, he is likely to be asked about the recent Bloomberg BusinessWeek report, claiming that Chinese spy chips were implanted into motherboards bought by Apple and numerous other tech companies. Apple has strongly denied that this is the case, as have others. He could also have to grapple with questions about the trade war with the U.S. Measures put into place by the Trump administration are likely to raise the cost of many products. President Trump has suggested that one way around this for Apple would be to build its devices in the U.S. instead of China. Tim Cook has long spoken about his belief that China represents Apple’s future biggest market. He has said that Apple designs its new products specifically with the Chinese audience in mind.